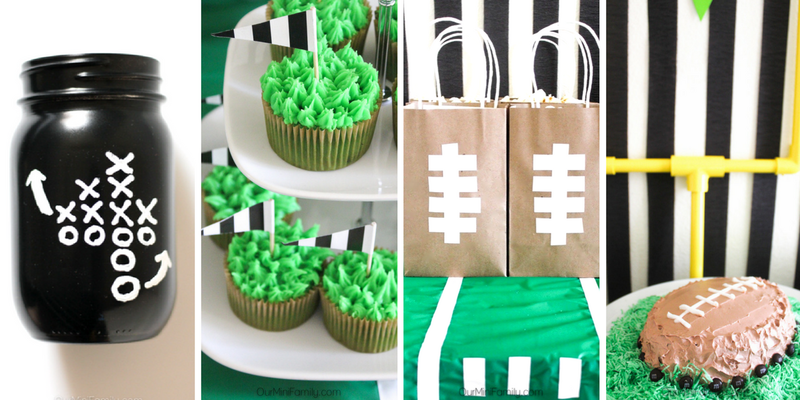 Get ready for the big game with these easy football party ideas we've shared on our blog! 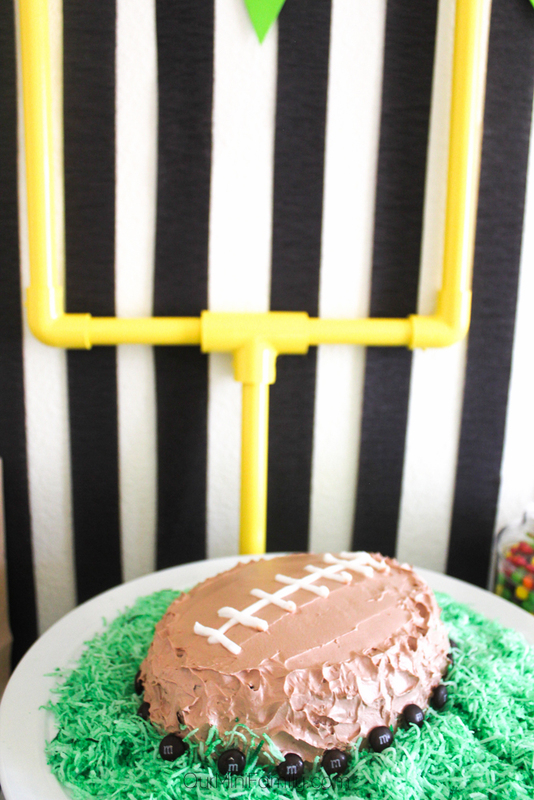 All of the tutorial, party, and recipe ideas below are from our favorite game day-inspired blog posts from OurMiniFamily.com! The big game is only a few weeks away! Although Adam and I will be traveling while the game is going on, we still plan on celebrating with traditional game day party ideas and making them our own while we are out of town. Over the years, we have enjoyed hosting everyone at our home to watch the big game. Since we won't be doing that this year and we will be on vacation during the game, we wanted to share a collection of our absolute favorite game day entertaining ideas, recipes, and tutorials that we have shared over the years! Below, you will find a collection of over a dozen ideas that you can easily incorporate into your game day festivities along with their recipes and tutorials to help you plan the best game day party you've ever hosted! 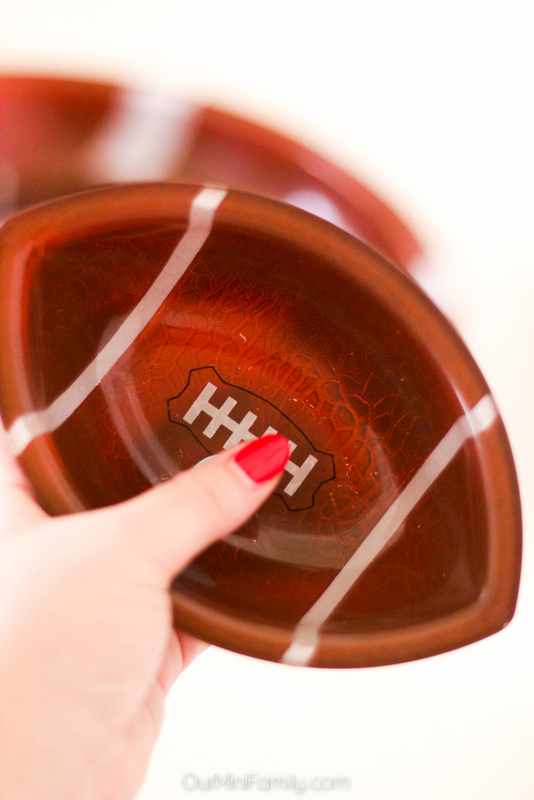 Whether you are indoors or outdoors for your football viewing party, there are a ton of ways to plan your party and make your very own party decorations and accents for your tablescape! 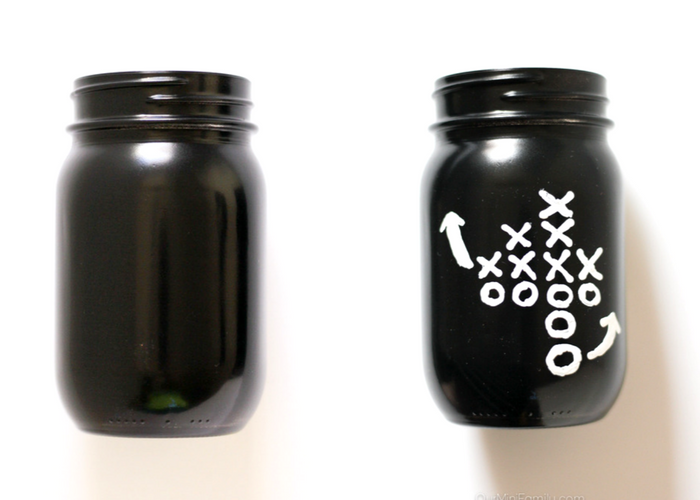 You could definitely go out and buy some from the store the week or so before the big game airs, but why not embrace your creative side and make your own? Below are a few ideas to help you get your party setup that I have shared on the blog in the past! 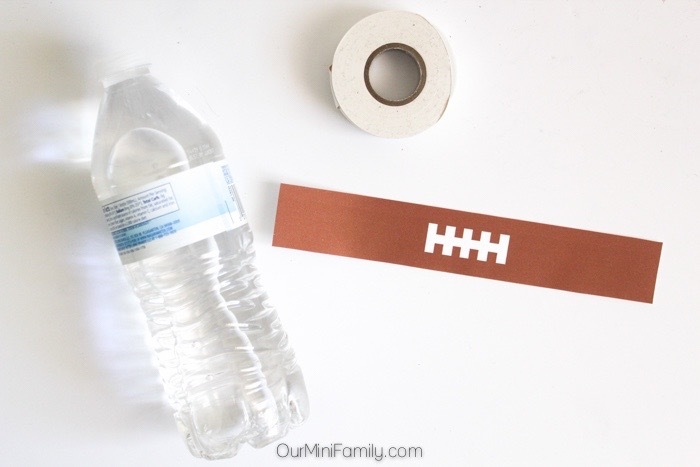 Looking for a low-budget way to decorate for your playoff party? 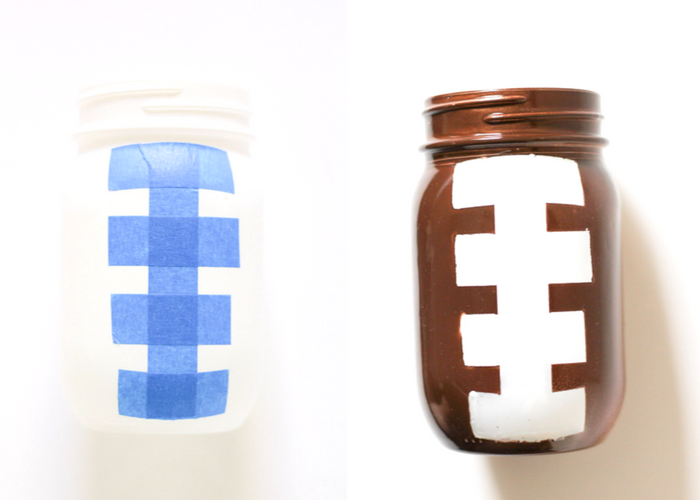 Check out these football-themed mason jar ideas you can make at home with some paint, tape, and extra mason jars lying around! 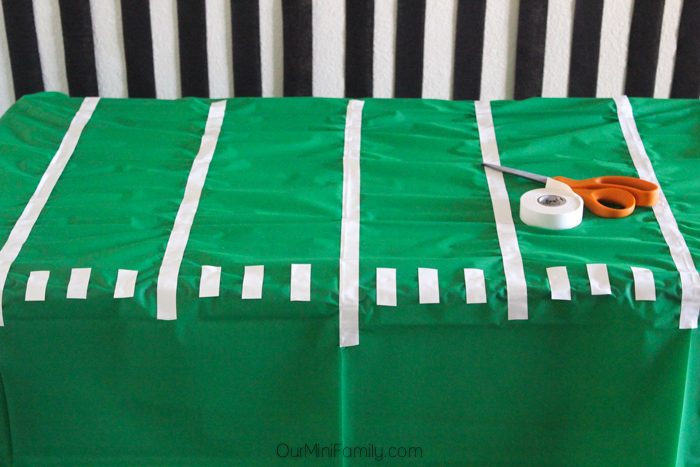 Or maybe you want a fun, festive tablecloth--you can create your own football field tablecloth with green fabric/material and tape! 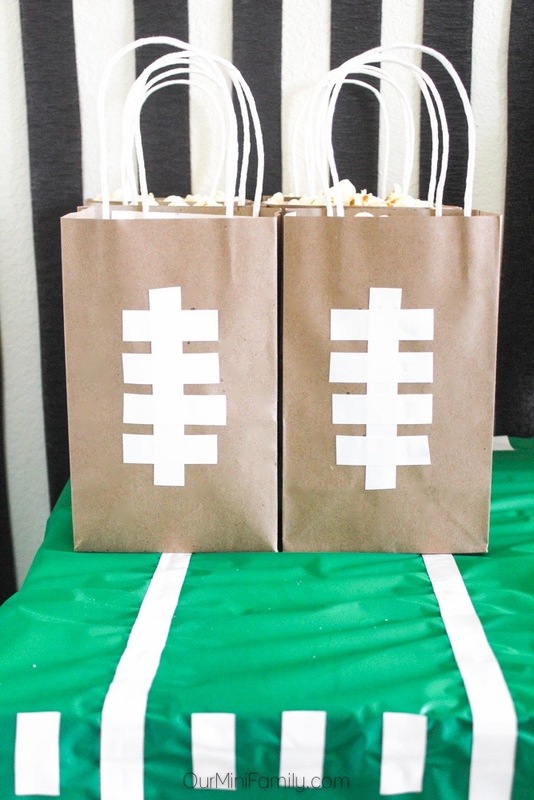 Or maybe you want to go the extra mile and give each of your guests a goodie bag to take home--transform traditional, boring brown paper bags into football bags! Click any of the images below to go to my original blog post with their tutorial! 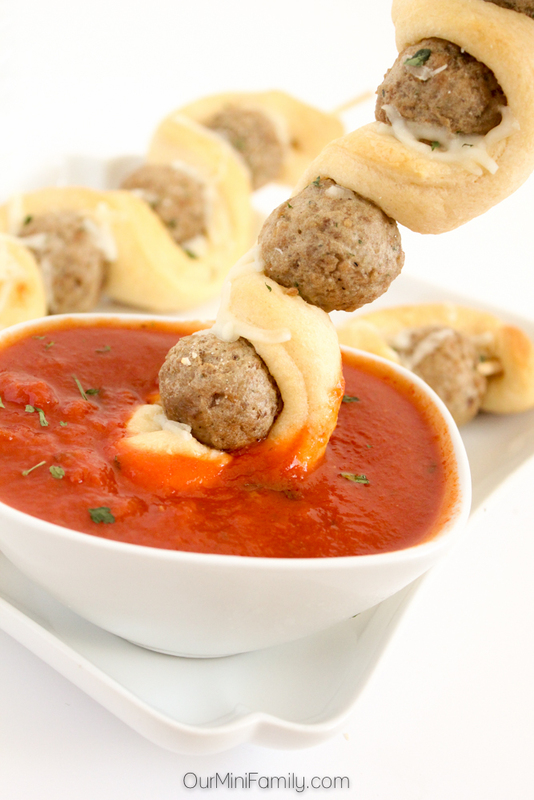 No football game get-together is complete without delicious finger food! 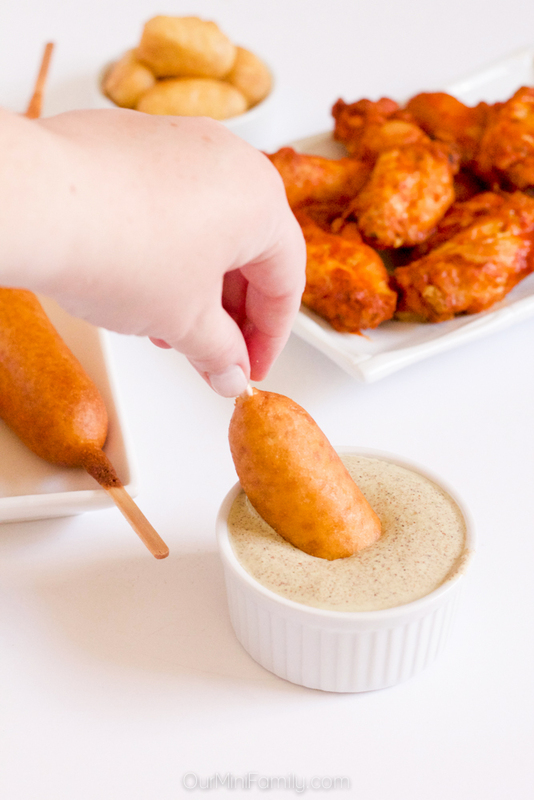 Whether you're whipping up a batch of fried pickles for everyone or baking some food on a stick, below you will find a few of our favorite ideas for game day! Click any of the images below to go to my original blog post with their recipe! What game day is complete without some chips and dip? Try a couple of our favorite dip recipes we have shared in the past that we think are essential for tailgating and homegating before the big game! Click either of the images below to go to my original blog post with their recipe! Adam and I enjoy having a few friends over for the game when everyone has their schedule opened up, but sometimes it's just the two of us. 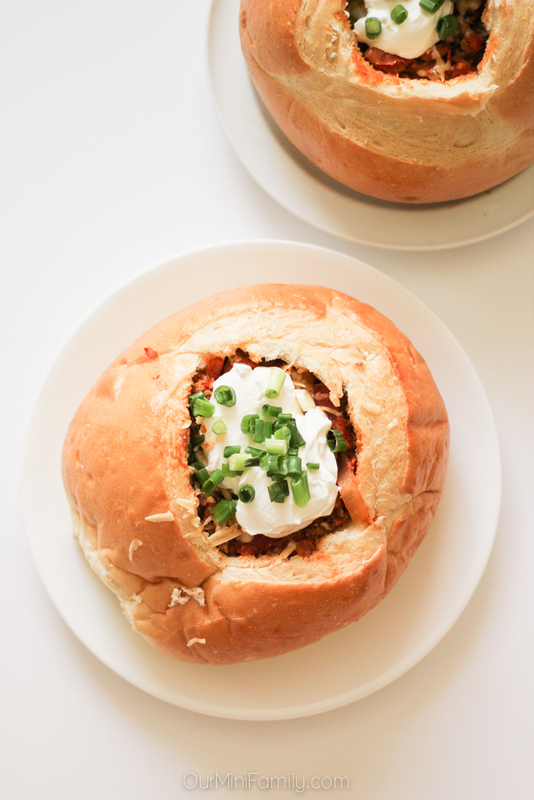 These comfort food recipe ideas are ideal for smaller groups, but definitely perfect to enjoy for game day! 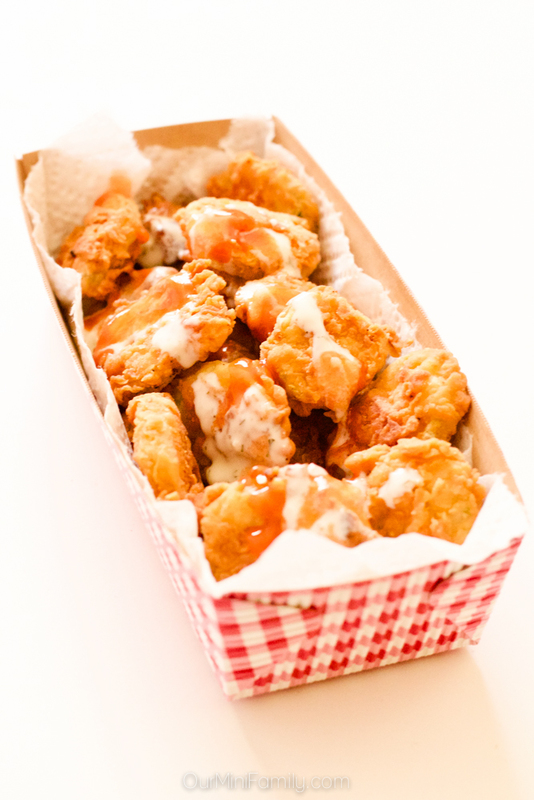 Cheese, chips, and chicken may be the headliners for your game day table. But don't forget about the rising star that is dessert! You could transform any of your favorite dessert recipes into something festive for game day by incorporating traditional football themes (football shapes, the field, the referee stripes, the goal post, etc) but below are two of our favorite dessert ideas for game day! Click either of the images below to go to my dessert tutorials! I love all of these ideas so much! From the food to the mason jars, the entire thing is so creative! I love how you did the Mason jars! How cute! 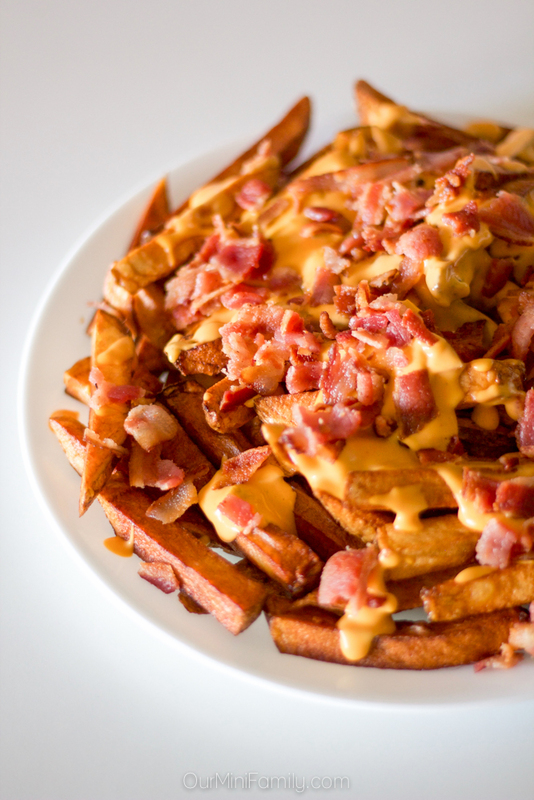 And the food too looks delicious. Love the cupcakes! What a cute idea for a party! I love the mason jars and the food looks really yummy too. 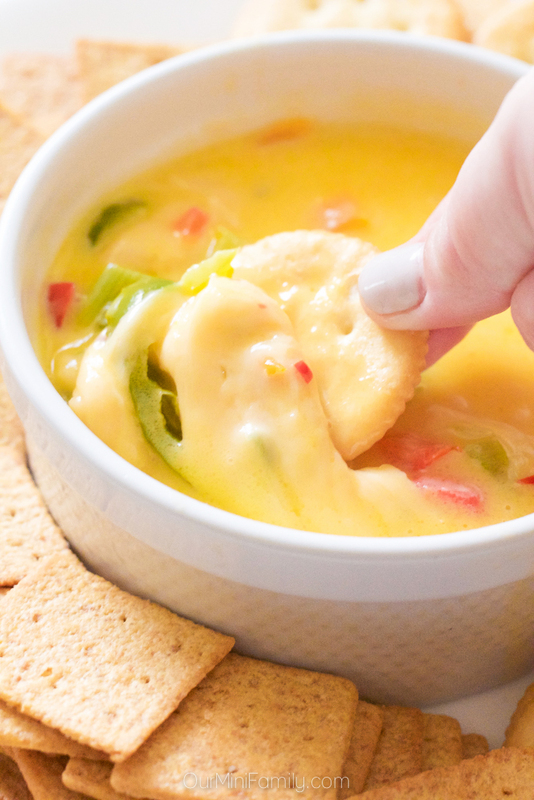 Queso dip is a favorite here in our house! Yumm!!! 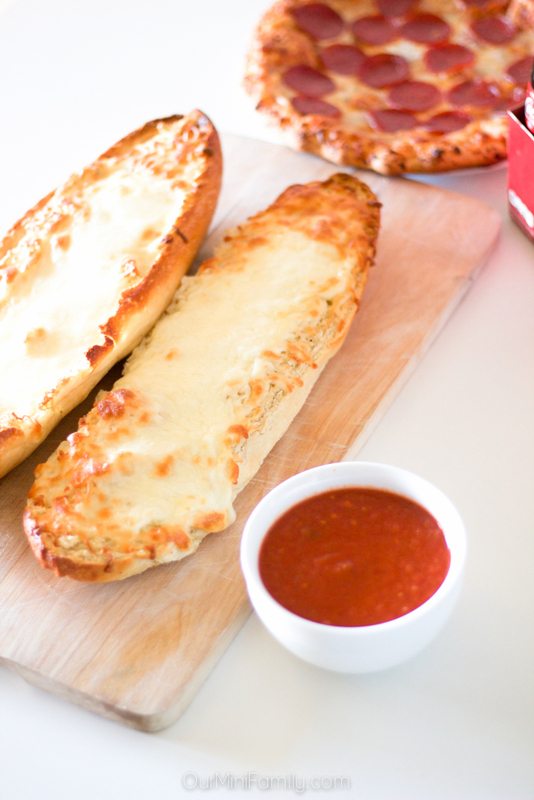 You have some absolutely amazing (and delicious) looking ideas here! 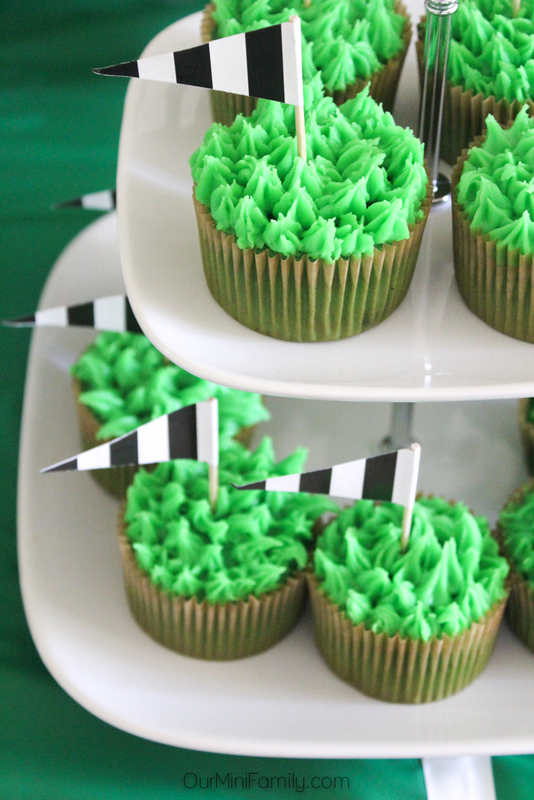 :D Perfect for any big football celebration! I LOVE those mason jar ideas! I really hope we make it to the Super BOwl this year. I wil go NUTS with party planning! You made some really yummy recipes. I totally am ready for game day now!! I am loving all of these ideas! I can't wait for the big game! I love how you did the Mason jars! Soooo cute! And the food looks sooo good! 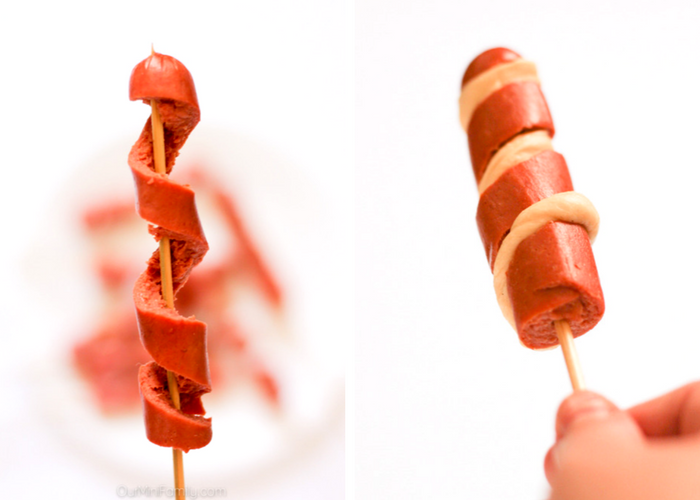 Love the hotdog idea! All these food look so delicious! I love the ideas for party planning too!